My Mum made ang koo for Caitlin's birthday party. Ang Koo, translated from Chinese means 'red tortoise', it is shaped like a tortoise. It is a traditional Nyonya kueh that is eaten on special feast days and baby's Full Moon offering. 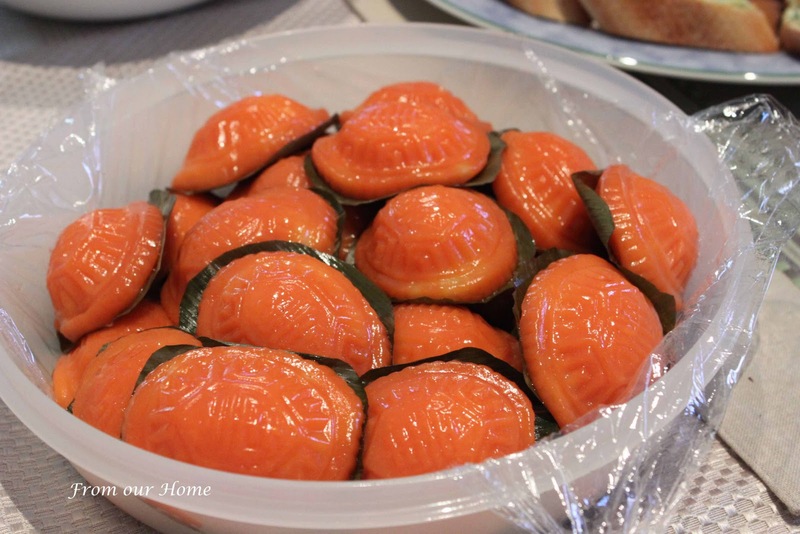 The skin is made from glutinous rice flour and the filling is made from mung beans. I am sending this to Suresh for this month's Muhibbah Malaysian Monday round-up. wah...your mum can even make those! U must have inherited all the baking talent from her!